What are the current building costs for an extension approx 150-200 ft2. 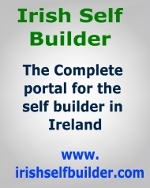 I saved €1350 buying my set of house plans from Elite House Plans. The advantages of an energy efficient home are many. A Higher BER (Building Energy Rating) potentially increases the subsequent re-sale value of your home. 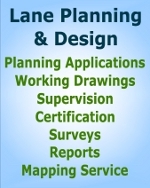 LPD is a design-led practice with over thirty years experience in a broad range of fields. U-value is the thermal energy in Watts [W] which is transferred through a structures component with the size of 1 square meter [m²] at a temperature difference of 1 Kelvin [K] (=1ºC). Thus the unit for U-values is W/(m²K). Air-Tightness Testing measures the airtightness of a dwelling and helps to identify air leakage through un-sealed gaps, holes, cracks etc. in the building fabric. Building Regulation require 4 m2 of Solar Panels serving your home. There are two types of solar (Thermal) panels for water heating, namely, flat plate and evacuated tubes. Current Building Regulations require natural ventilation (aided by extractor fans). An increased BER (Building Energy Rating) can be achieved by installing a Heat Recovery Ventilation System (HRV). A HRV system will mechanically ventilate your home providing you with a constant supply of fresh air, which is warmed using the heat available in air being extracted. Extract points are located in wet areas such as Bathrooms, En-Suites, Kitchens, Utility Rooms, etc. Supply points are in areas such as Bedrooms, Living Rooms.Lounges, Dining Rooms, Conservatories, etc.